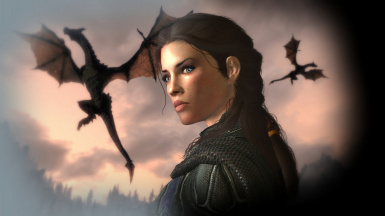 Does your female Dragonborn sound a bit too butch when using a Dragon Shout? Would you prefer she sound a bit more feminine? This mod increases the pitch of all female shouts and is based upon the Skyrim elf voice. The original author's instructions are: "Do whatever you like." So I offer you the same. Background/display image done by amnis406. I've got questions. You got answers? This is simply a small mod that replaces the shout voices with a higher pitched version. The mod increases the Dragon Shouts by 2 semitones. I've included a video from the original author so that you can hear what it sounds like before you download and install. It uses the Elven voice for the base, but it can be used with any race. It includes the DLC shouts as well, but works even if you don't have the DLC's. Because author's need love too! SSE. I found out about this mod from Reddit and loved it. I ported it only so that it'd have more visibility here on on SSE. You can even go directly to his LE page and Download the mod from him directly. In fact, I encourage it. Background/display image done by amnis406. There is no conversion work necessary to port this from LE to SSE. It works straight out of the box. Please give the original mod a Download and an Endorsement! !